Notice anything different? We’ve given ourselves a makeover! Plus we thought our new look deserved a new tagline too. However, you’ll notice that “Clean, Happy, Home.” reflects our core values which remain intrinsic and unchanging, guiding us in making the choices that benefit you- our customers – and our cleaners – the SweepStars behind it all. In the very beginning we promised ourselves and our clients that SweepSouth would not be just a cleaning company. We’re a company that uses and improves the technology and talents at our fingertips to deliver the best quality service available. We’re a team that respects your personal space and that treats you home as if it were our own. And lastly, we’re dreamers that believe there’s a better way to think about the cleaning industry, an easier way to connect those in need of help in the home with those in need of work, with less frustration and more opportunity. QUALITY We want you to trust that when you book a clean with SweepSouth, you’re putting your home in good hands. That’s why our cleaners are all vetted and rated. PROGRESS Technology is our friend, and we’re constantly evolving and innovating to make our service a simple one for our customers and SweepStars. We’re also pioneering the formalisation and simplification of the home services industry using technology to create more work opportunities. TASTFUL Every interaction with SweepSouth should leave you feeling as good as you do when you come home to a clean house. We focus on bringing harmony to homes by bringing out their true potential. WE CARE Caring deeply about the wellbeing and careers of our cleaners, as well as the homes and happiness of our clients ensures we are always on the lookout for ways to improve our service delivery. PEACE OF MIND We know it’s hard trusting someone new in your home, that’s why we vet and insure all our cleaners, why we encourage all customers to rate their SweepStars’ service and why we promise to come back and finish the job if you’re in any way unhappy with a clean – no questions asked! We also aim to bring peace of mind to our cleaners by providing them with steady income and the opportunity to grow. FRESH We believe in making the home a place to revitalise the body and inspire the mind, one that you want to escape to, not escape from. For us, keeping a fresh approach to our service means always looking for ways to use technology to make the entire process of booking a cleaner simple and easy for all. We’ve got some new exciting features up our sleeve that show just how dedicated to innovation we are, keep your eyes peeled – more information coming soon! Next Post Empowered Women, Empower Women. The Inspiring Story of Our CEO, Aisha Pandor. What commission is SweepSouth taking from the workers? Our cleaners earn up to 80% commission based on their time on the platform. – What is the minimum % commission that they earn then? – Are they supplied cleaning materials by SweepSouth if the client specifies, or do they have to buy it themselves and then have it refunded at a later stage? – Is travel cost covered by SweepSouth or by the cleaner? Cleaners earn 65% and once they complete 400 hours on our platform their commission increases to 80%. We do supply them with the funds for the cleaning materials in advance. We don’t cover cleaners travel cost but our website algorithm helps to optimise the expense for example by allocating two jobs during the day in the same neighbourhood. They can also choose in which areas they would like to work. We currently don’t have a section under FAQ which provides the answers to questions you listed. 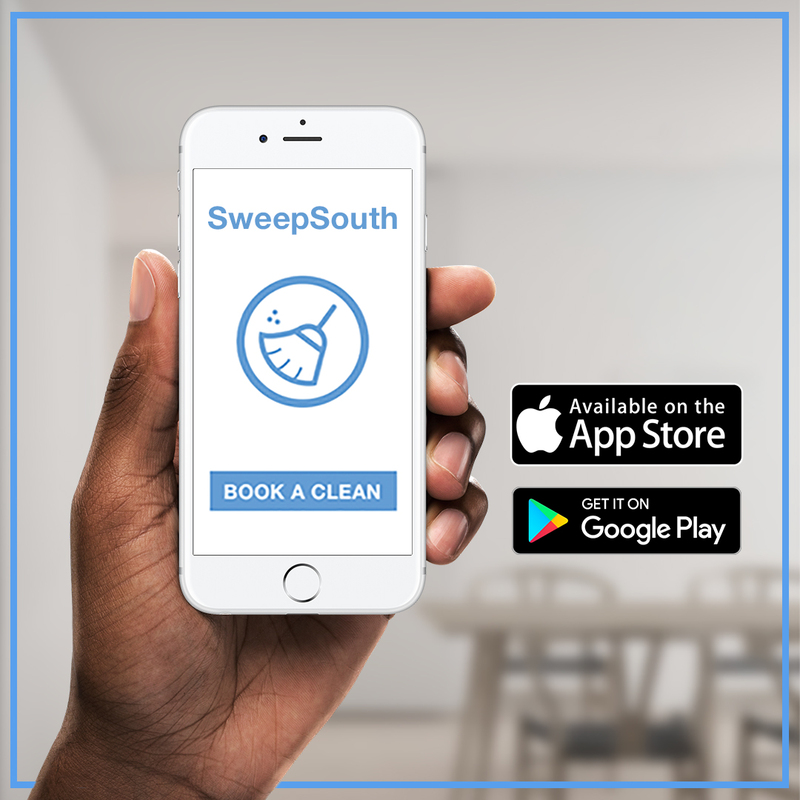 However, as recently we have noticed an increasing number of clients who are interested in cleaners working conditions, we have decided to add the information on SweepSouth.com with our next page release. We’re very happy to see that our clients care about our SweepStars. If you have any additional questions or would like to learn more about the cleaning industry we are happy to give you a call. Good question and thanks for sharing the answer. I have just started using this service and hope I continue to do so. Hi … I have used your services for my daughter’s apartment in Hatfield and will do so again… I just have a question for my home – do you have the facility to clean hight windows and very high hanging lights? I have a double volume entrance with a beautiful spiral of lights. Since we moved in, I have no idea how I am supposed to get to clean them or change globes. .. I guess a very high ladder is needed. Unfortunately it’s very difficult for us to give an advise on how to clean the globes, we specialise in general home cleaning and we don’t provide our cleaners with the special equipment. It’s also difficult to give you advice the clenaing might depend on the materials the lights are made and its sizes. I suggest it will be the best if you can speak to the supplier of the lights and let us know if we can help with the clean. Do you provide cleaners in the Lydenburg Mpumalanga area? unfortunately we don’t operate in the area. I recently used Sweepsouth for the first time and found it quite bizaar that directions are not confirmed at least the day beofore… this resulted in the cleaning being rescheduled twice. But I was refunded though. thank you for the feedback. We include the directions for the cleaners, we will look into including also screenshots as you suggested.